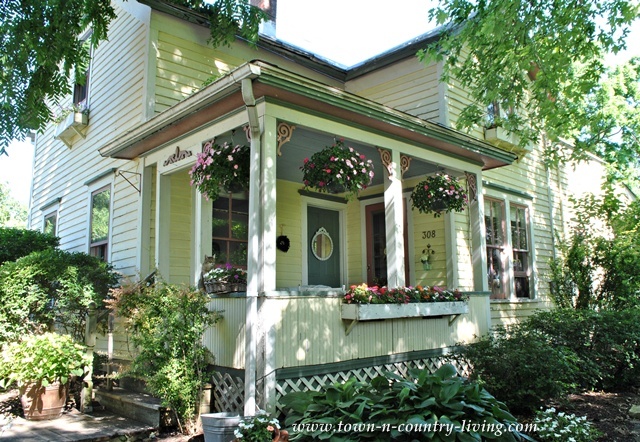 shelstring blog: Town and Country Living- Summer Home Tour Series! 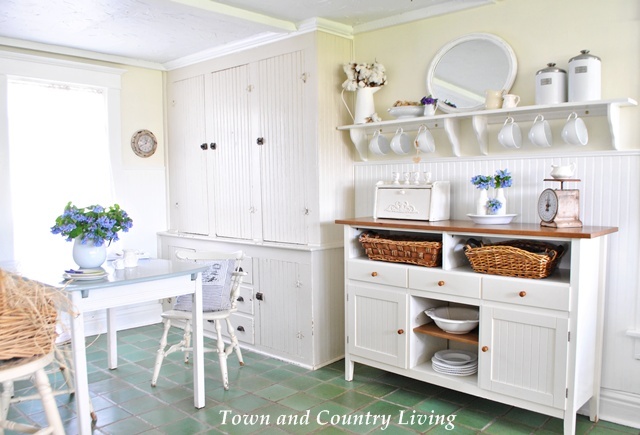 Town and Country Living- Summer Home Tour Series! It's Friday and time for another lovely home tour, YAY~I love this day of the week! This tour is of an older house built in the 1800's and everything you imagine a house this age should be. When I saw Jennifer's design and ability to mix the new with the old and still keep the authentic feel of the home, I was impressed and inspired. 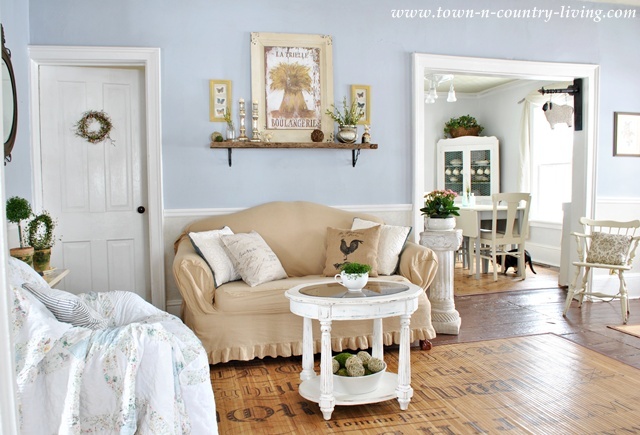 Her house makes you want to find an older home too, just look around and see all the character and charm here! Hi Everyone! 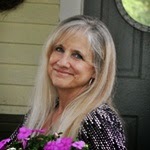 I'm Jennifer from Town and Country Living and I'm happy to be here on Michele's blog sharing my home with you. It's a little bit country and a little bit cottage. My house was built circa 1875 so it has all the charm of yesteryear ... including slanted floors, crooked doors, and wavy glass windows! You gotta take the good with the bad, but I'll always choose an old house over a new one. We're getting ready to paint our old farm house. It'll still be a buttery yellow but I'm changing up the trim colors. My front entry is bright and sunny with its double window. 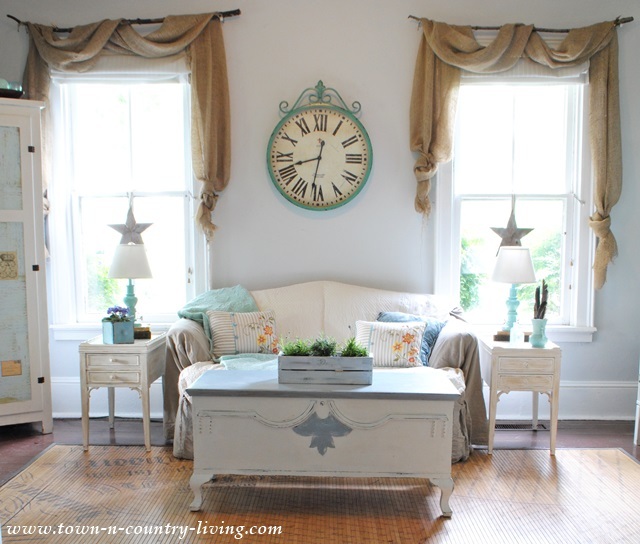 I kept the window treatments simple to let as much sunshine in as possible. During the summer months, I like to keep the decor simple. Bamboo script mats on the floor are kid and pet-friendly and super easy to clean. I have no carpet in my home ... just painted or tiled floors. In the family room I draped landscape burlap over branches ... easy and inexpensive. I'm a firm believer that you don't have to spend a fortune to have a home you love. A lot of my furnishings are flea market finds that I coordinate with paint. The dining room only has one window so I kept things light in here. 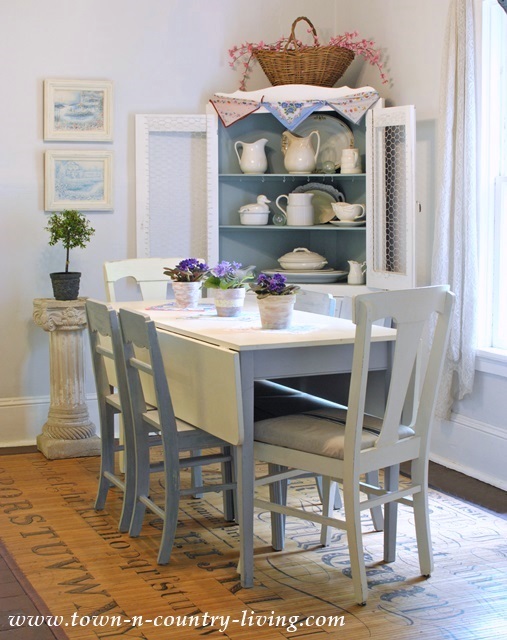 The dining table and chairs are painted with Annie Sloan Chalk Paint. I used Old White and Paris Grey. A trio of African Violets serve as the centerpiece. The kitchen is my favorite room in the house. I love cooking ... especially from scratch. We don't have a lot of standard cabinetry in here, instead I chose open shelving and free-standing pieces. On the other side of the kitchen is our eat-in area and built-in cupboard. 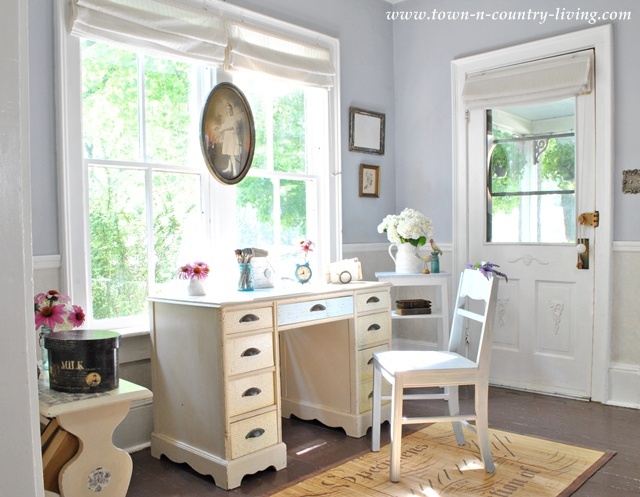 The sideboard is from Ikea and even though it's newer, I think it fits with the farmhouse style in here. Both of our full-size bathrooms have claw foot tubs. 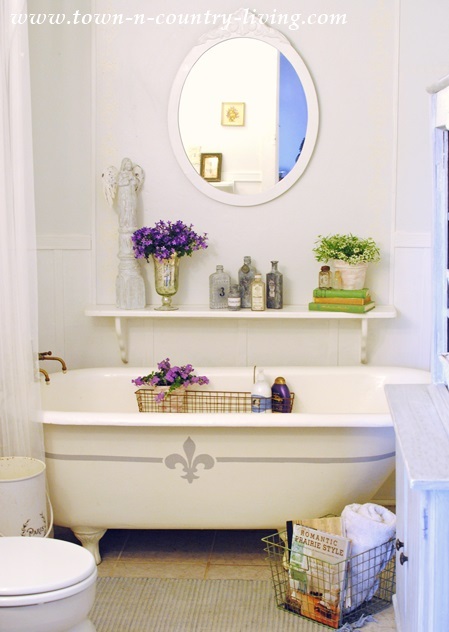 I painted this one and gave it a fleur de lis embellishment for a French vibe. 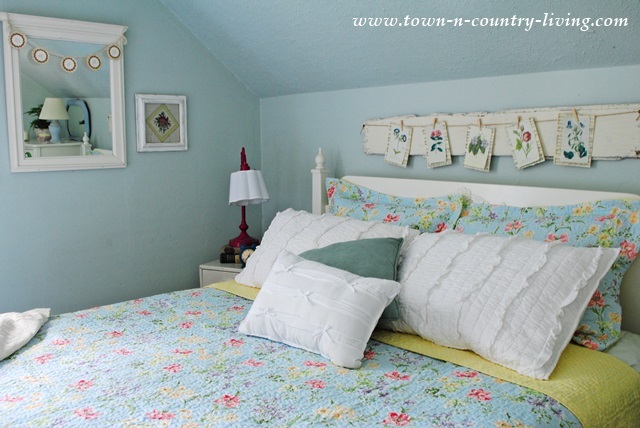 This under-the-eaves bedroom recently got a mini makeover with new summer bedding. The quilt is by Laura Ashley and the pillow shams are Rachel Ashwell's shabby chic collection. 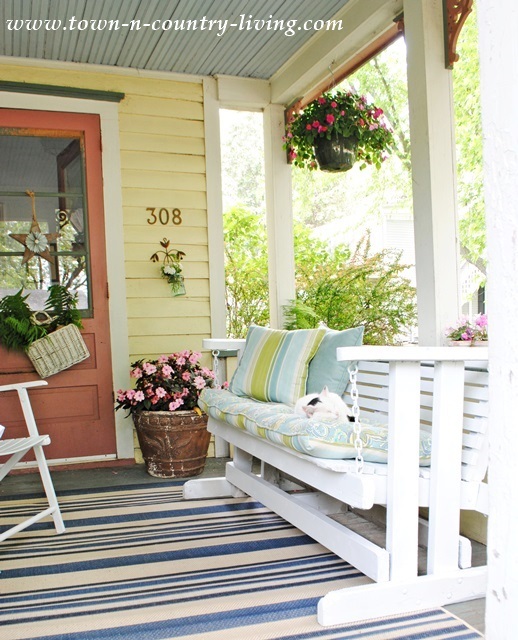 During the summer months, the front porch is where I like to spend my free time. As you can see, our kitty Trixie likes to lounge out here, too! Now that the tour is over, I hope you'll stop by for a visit at Town and Country Living. Special thanks to Michele for inviting me over today!! Isn't it charming? And oh, so inviting! 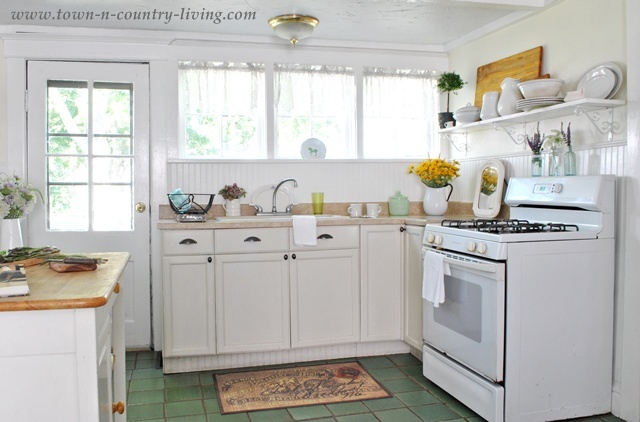 Jennifer's blog is chalk full of beautiful pictures of her amazing projects and classy style. Make sure you stop by her blog and check it out. Thank you for joining us here on Shelstring. Have a lovely weekend, we'll see you next Friday for another lovely home tour! I love seeing Jennifer's beautiful home on your blog. I can't wait to scroll down to see what other blogs you have featured. Oh, I love all the white with pops of color! So gorgeous. You've made a beautiful home.